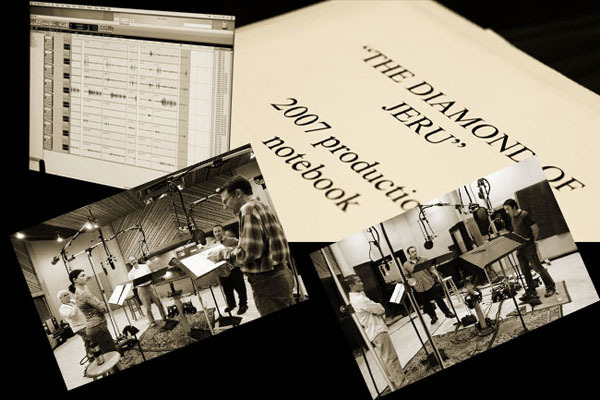 Production of The Diamond of Jeru as an Audio Play commenced in October of 2007. Because of our other responsibilities, Paul and I can only work about one week a month, nine months out of the year. Doing Audios has become more of a hobby that pays for itself rather than a career of any sort. This created a drawn out working situation. While we spent just over a week in the studio recording the actors voices and the entire production period was around 450 days, it took us seven years to find the time to finish the project. As with our Audio production Son of a Wanted Man, there was a fair amount of down time ? on Son of a Wanted Man I had to take time off to write and produce the USA Cable Movie of The Diamond of Jeru and while working on the Audio of The Diamond of Jeru both Paul and I had to spend a good many months working on the Graphic Novel of Law of the Desert Born. When you get to juggling schedules the biggest and slowest project always seems to become bigger and slower! These days the process of casting seems to have become a complete nightmare for actors. We always allow an actor to read everything he or she has prepared and, whenever here is time, give them direction on at least one of their "sides" (the scenes used for auditioning) and then have them do it again. We mix it up, keep it inventive, are are always polite and respectful. We figured that this is simply the way it ought to be done. Bizarrely, a gruff fifty year old actor burst into tears and thanked us profusely for making it all a good experience. We even got thank you letters when we turned people down! It just goes to show you what a nasty environment the typical Hollywood audition has become. The outcome of those sessions was a great cast that included many nationalities, British, Australian, Malay, Chinese, Korean, and Indian besides the several American leads. All were wonderful actors. The recording sessions lasted for nine days and went fairly smoothly. This was a longer schedule than Son of a Wanted Man but easier and not much more expensive because of the way we booked our actors. Our formula for calculating how long it would take to record each scene, which we've been perfecting for years, worked perfectly with no day running more than 20 minutes over time. On top of recording the various scenes from the script we also collected the voices of "extras" doing our Malay, Chinese and Korean background material. A wonderful young Saudi man who teaches Muslim Muezzins to do the Islamic Call to Prayer helped us out with this sound effect. He performed the haunting Adhan in several different styles. In the past I had often split my time between the control room and the studio but on this show I remained in the studio with the actors about 95% of the time, leaving the technical aspects up to Paul and Howard. The ancient recording studio in Hollywood that we had fallen in love with had been turned into a restaurant so we found another in North Hollywood that was better in some ways but not in others. As with Son of a Wanted Man we recorded directly into a Pro Tools Digital Audio Workstation ... the system we would also use for most of our editing and mixing. After recording we knocked off for the year, Paul going home to prepare for the Holiday rush at louislamour.com and I headed off to New York to meet with all the people we work with at Random House. The next spring we reconvened to begin cutting the dialog, it went quicker and easier than the last time but, because this show is slightly longer than Wanted Man the process still took up the entire work season of one year. Paul and I can only afford to work a week to ten days a month eight or nine months a year so from some time in February to early October we try to make the most of the time we have. Sound Effects recording is always an adventure and lots of fun but on The Diamond of Jeru we seriously underestimated how long it would take and how many effects we would have to record. We have created an extensive library of effects for westerns but Jeru would require a completely different approach. 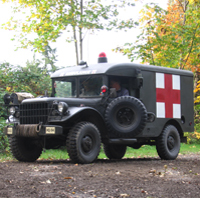 We had have rivers and rain forests, Land Rovers and trucks, oil derricks and Russian tanks, both snow and mud. On top of that the assortment of foot sounds was totally different, from high heel pumps to hiking boots to bare feet. 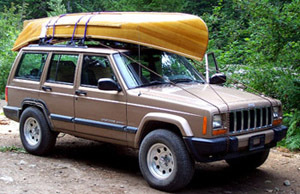 The first thing we did was to buy a beautiful wooden canoe or "guide boat." 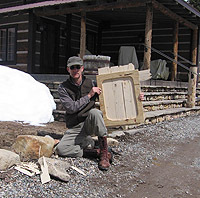 Classic guide boats are terrifically expensive but we discovered a company in Canada that made one that was a mixture of wood and fiberglass at a fraction of the price. Before we bought it, however, I made the sales lady hold the phone up to the hull while she knocked on it ... I told her I wouldn't buy the thing unless it sounded like wood! 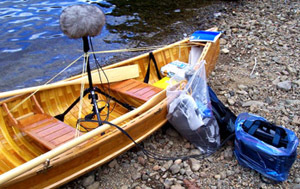 A tiny Seagull outboard, completely accurate to the time and place, was found on Craigslist and then all we had to do was find a spot to record that was both quiet and legal ... it's not cool to run an outboard in many of the lakes east of Seattle because they contain the city's drinking water. A spot way back in the mountains was discovered with the help of local rangers and we were off to record. 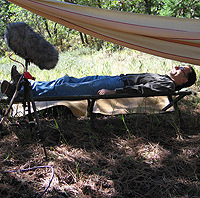 "Lost Lake" was a wonderful place to record but we had to be very careful when the wind came up because you could hear all the surrounding pine trees ... and that does not sound like hot humid rain forests. The Ballard Locks on Lake Union is a place that a good deal of the northwest fishing boats have to go trough to get to Puget Sound. We lucked out and were able to record a 175 foot 1960s era fishing tender that was very similar to the coasters that used to sail the waters of Malaya in the '40s and '50s. The sounds it made tying up in the locks were very similar to those of a ship docking. For other ship effects we rented an inter-island ferryboat for a couple of hours late at night. A contact we met while trying to find a vintage Land Rover not only supplied the appropriate 4x4 but helped us locate a tank (actually a motorized howitzer) too. One of the really amazing things about everyone we worked with in Washington State was how quickly they understood what we needed ... absolute silence. If the wind blows too much, forget it. If there is a jet in the sky, no way. Traffic on a road 2 miles away ... maybe, only maybe. 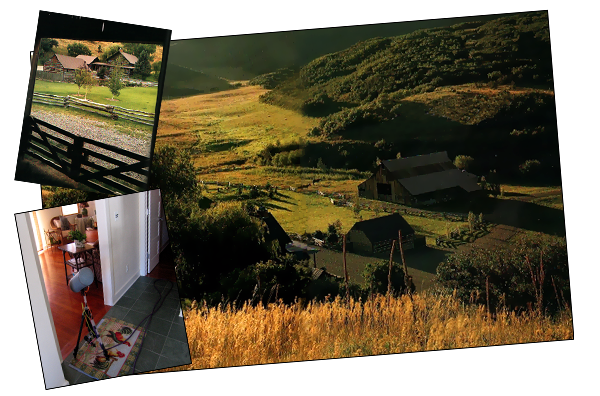 In Colorado the houses on the L'Amour ranch once again provided the many floors and doors, beds and work surfaces for many other effects. 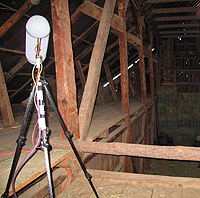 The barn on the original homestead property made a perfect Dyak longhouse with three completely different floor sounds for longhouses in various stages of disrepair. It also provided the sounds for the floor of the Marudi warehouse where Kardec assembles his expedition. By the time we'd spent two weeks in that cold, dark, dusty place we were completely sick of it but we couldn't have done the show without it! 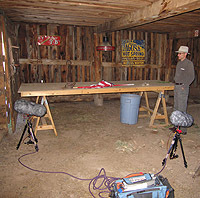 The Colorado ranch is both a great place to record effects and a miserable one. It is WAY to close to the highway and we constantly have to stop for traffic noise. The other problem is the fact that it is 8,000 feet in elevation. Many of these effects take a lot of physical exertion and I, who do most of the effects myself am always having to stop and catch my breath so that heavy breathing doesn't cover the sounds we are trying to record. Even when doing running effects the amount of sucking wind a guy who lives at sea level does is not the right sort of breathing sounds for someone running in a tropical jungle. The best part of the place is the fact that there is a well outfitted shop, and constructing wood and metal sound effects props is fairly easy. 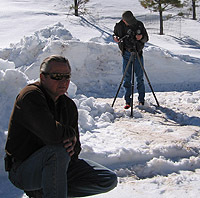 Making it even easier for us are the guys, Mike Grey and Dave Krupa who work on the ranch. They've helped us create all kinds of gizmos, like sections of long house thatch on a wooden rack that enables up to record elements of the scene where Mike Kardec sets that building on fire, and a series of metal floors connected to an old machine shop hoist and a pile of pipe that allowed us to do a lot of the effects in the oil fields. The Diamond of Jeru has far less in the way of gunshot effects than some of our productions but there are two scenes that take place during the Korean War. 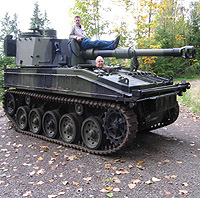 Those demanded machine guns, rifle fire, tanks and artillery. I am still not totally convinced by our machine gun effects which were created by stringing together single gunshots from regular firearms ... one of these days I'm going to get some actual machine gun recordings! 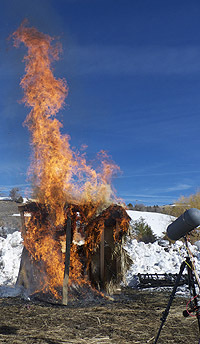 We also tried to get in on a live fire event put on by some artillery enthusiasts and a crew that was doing avalanche mitigation but neither came through. 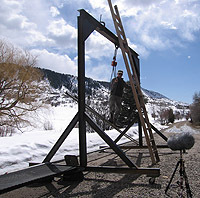 Ultimately we constructed some of our artillery effects by slowing down a recording of a Sharps rifle that we had and adding a "booster" from a very large caliber black powder rifle. Bigger artillery came to us via a Hollywood effects house. After two years, even though we weren't completely done with our recordings, we decided that we should start editing them into the show. Sound Effects cutting is absolutely the most exciting part of the show. For the first time it begins to sound like the final product, the scenes come to life in a completely new way, and the acting jumps into focus in a very exciting way. Paul is a really great effects editor (and dialog editor!) and an added pause in the actors delivery or using the sound effects to make it sound like he's shifting in his chair can really complement what the actor was trying to do. If an actor loses focus in the middle of a sentence (which happens occasionally when they look to see what the next line is) sometimes something can be placed in the environment, a car passing, an animal acting up, that would have distracted the actor in reality ... all these things help. 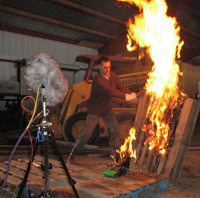 Many times the way a sound effect is created has nothing to do with the reality you are working with. One of our main sound effects for the oil derrick was an old lathe we found in a local gunsmith's shop. We ran it as slow as possible and let a screw driver 'clink, clink, clink," across it as it turned and that became the sound of the turning of the pipe. Recorded correctly it sounded HUGE. The same man, let us record some of his rifles ... we needed a good sounding, wood stocked, Winchester bolt action for John Lacklan. John would have had a Winchester Model 70 but there was an interesting extra click in the action of a Winchester 54 that the gunsmith had and stuff like that makes all the difference. In the end we cut in every single effect separately. That way each sound or piece of the sound can be individually controlled in the mix. The sound of a machine gun might include a high level gunshot to get the "bang," a low level gunshot to capture the echo, the sound of the action of the gun being manually racked so that it's level can be independent from the gunshots, and the sound of an empty shell being ejected and then hitting the ground or other empty shells already on the ground. That series of effects is then repeated over and over for each bullet the machine gun shoots ... and it works better if you don't use the same gunshot effect for every time the gun goes off. In this show ambiance is a much more important element than it has been for us in the past. Borneo. Jungle. Rivers. A town in a foreign country. The voices on the sidewalks are Malay and Chinese, British and Australian. The cars are Land Rovers and Bedford Trucks. The birds are different, the insects are different, the weather is different! We went out of our way to purchase authentic Borneo bird calls from Cornell's Macaulay Library. Other recordings of wildlife are as legitimate as we can make them including the sounds of gibbons, and orangutans. Of course we are more attentive to getting the dramatic values right and would never compromise a scene's emotional integrity just to get the sound effects right but we try to use the right stuff when it fits with the scene and the other effects. So all we have to do is finish up the effects cutting and the last of the effects recordings ... like 10,000 panicking bats. Then we'll hand it over to our composer and wait for him to get a window so that he can work on 1950s popular music, native Dyak melodies and the more emotionally oriented score. After that is the mix and then adjusting the finished product to the limitations of CD and MP3 ... that's called Mastering.